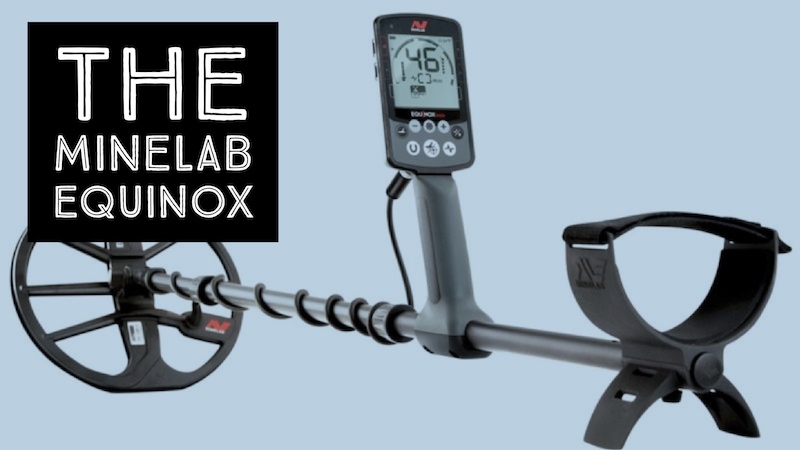 Minelab’s new Equinox Metal Detectors – the Models 600 and 800 – are reliable and offer a number of important features. The two detectors share a number of the same features, and most purchasers have said their performance is essentially identical for each of them. Both are fully waterproof, which is an obvious advantage when searching at the beach or in rivers, streams and lakes. They both are rugged and lightweight. However, the most important feature both of these products boast in Minelab’s unique Multi-IQ simultaneous multifrequency technology. This allows them to operate on multiple frequencies at the same time and give the same target evaluation and is the most impressive feature on the Equinox. Both the Equinox 600 and 800 allow you to set the threshold level volume, but the Equinox 800 also allows you to set the threshold pitch or tone. Again, this is good for people that have hearing loss issues in particular ranges. It can also be nice to set a tone that you prefer to listen to for a long day of detecting. Both Equinox models have automatic Noise Cancel functions but the 800 also offers a manual override. Although the automatic setting is usually satisfactory for most users will need, if you search in areas of high electrical interference (EMI) or around many other metal detectors, this can be helpful in finding the quietest setting with the least interference. Another advantage of the Equinox Model 800 is the ability to adjust even non-ferrous tone volumes. Maybe you have coins set to give a high tone, but you have a hearing loss in the high tone range. The Equinox 800 allows you to increase the volume of the high tone response in relation to the other tones, making it easier to hear. These are useful but not especially important features. By far, the major difference between the Model 600 and Model 800 is the Gold Detecting Mode. This unique specialized mode is only available on the Equinox 800, which gives it a total of four search modes. 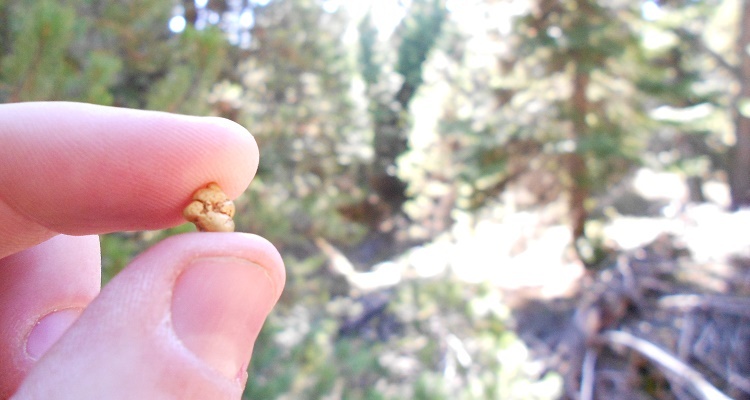 This setting is specifically designed to improve performance when searching for small gold nuggets in mineralized ground, and it does so very well. The Model 800 Gold Mode will give you a significant advantage when hunting for very small pieces of jewelry like earrings or thin necklaces. The Gold Mode improves gold detection by using an advanced audio processing called VCO, which stands for Voltage Controlled Oscillator. Although it does not have different tones for different target types, this system changes both volume and pitch depending on the target intensity. The VCO can dramatically improve your chances for finding small pieces of gold. 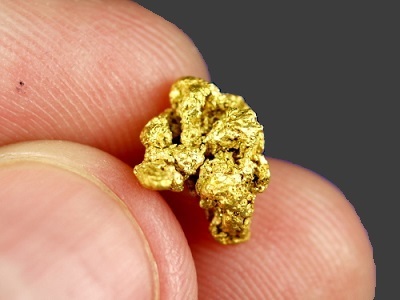 Higher frequency detectors will always excel at finding small gold nuggets. In addition to this additional search mode, the Model 800 offers two more higher frequency settings than the Model 600, which has only four frequencies. These additional high frequencies, 20 kHz and 40 kHz, are particularly well suited to gold hunting. Yet another important additional feature on the Model 800 is the “Advanced Settings” available on this product. These settings allow for a finer degree of tuning on various options that both models share. This is also particularly useful when searching for gold. If you are primarily a gold prospector, then the Model 800 with its advanced Gold Mode and additional high frequencies is definitely worth the additional cost. The higher frequency options make it perfectly suited for gold hunting. If searching for gold is not your main activity, and you are looking for a quality all around detector, then the much less expensive Model 600 is a better value. It sells for about $250 less than the Model 800. As a general multi-purpose detector it has a lot of great features and is still a great value for all that it can do. If the various bells and whistles featured by the Model 800 are important to you, most of them, except for the special Gold Mode, can be added as supplemental features. Also, those who purchase the less expensive Equinox Model 600 could also buy an accessory coil for the same price as the Model 800. Arguably, a Model 600 with two coils may be better than a Model 800 with only one coil if you are simply looking for the best deal in general purpose detecting. This flexibility actually allows you to create a more “personalized” detector for less money by choosing just which features are most important.